The need: The Australian dairy industry is an established, competitive and reputable exporter of high quality dairy products to many of the world’s fastest growing markets. 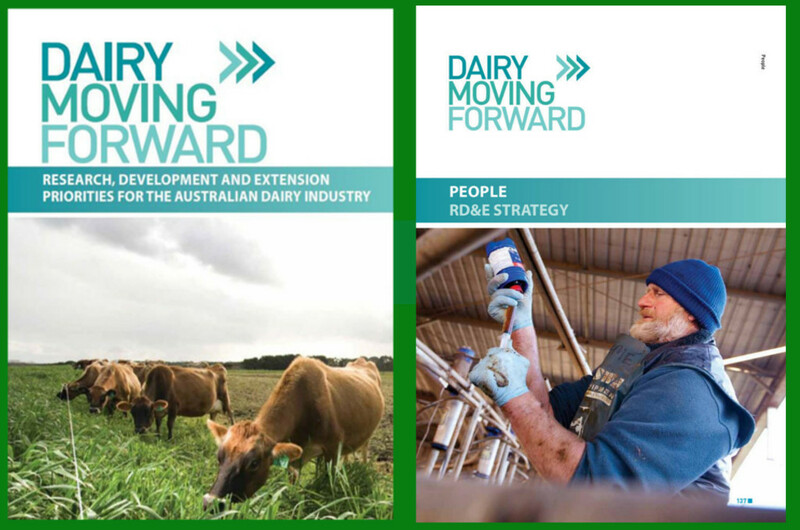 Dairy Moving Forward is a pre-farmgate strategic planning process that was initiated in 2010 in response to a Primary Industries Ministerial Council directive to determine what RD&E was needed to drive innovation and productivity in the dairy industry. Strategic plans were made for five broad areas: animal performance, farm business management, feedbase and nutrition, natural resource management and people. What we did: Pauline Brightling and Stephen Coats coordinated an agreed position for peak dairy industry bodies and government stakeholders on the RD&E priorities for the 2010 People Strategy. This provided a clear statement on the industry’s current situation and needs around people.